Are you looking for a method to get WhatsApp for free every year? Do you want to renew your subscription for free? Do you want to download WhatsApp on your PC? Are you searching for WhatsApp tricks to not pay for the instant messaging app? Here we’ll show you how to get WhatsApp for free on your iPhone, Android or PC. WhatsApp costs only 0.99 USD per year, which is a ridiculous amount considering the immoderate use we make of it daily, and even more if we think about the price of a single SMS. However, not everyone is willing to meet this expense, and as we’ll see, there is no magic formula to avoid to pay for WhatsApp but just some small tricks. Here we will see how to get WhatsApp for free every year legally without any cheating. There are four methods (two official and two not) to make WhatsApp free. Before seeing them in detail, we want to immediately dispel a myth: it is not true that by deleting and reinstalling the app, WhatsApp becomes free. Many believe that it is so simple. In fact, it’s enough to just make an attempt to realize that is a hoax. Important! Before following any of these methods, you should make a backup copy of all your WhatsApp data just in case something unexpected occurs (the procedure for backing up is explained at the bottom of this article). This method concerns iOS users. Not long ago, those who downloaded WhatsApp on iPhone paid the cost of the app and only once they got it for life. Well, all you have to do now to free download WhatsApp on iPhone> is to install it using the same phone number on which the app had been downloaded with the one-time payment. After downloading, the app will recognize you as a user who already has the subscription for life active and so you won’t be charged anymore. Once you have got WhatsApp for free through this procedure, you can decide to change the phone numberthat is associated with the app and transfer your free subscription to another phone number. To do so, just go to Settings -> Accounts -> Change number. Another way to get WhatsApp at no cost is to make someone else pay for it for you through the option “ Pay for a friend. 1)Your friend will pay for WhatsApp for you directly via their phone. They have to go to Settings -> Contacts and click Pay for a friend. Then they have to enter your phone number and select a method of payment (PayPal or credit card). 2) You can send a link via email to your benefactor. In this case, just open WhatsApp and go to Settings -> Accounts -> Payment info and click “Send Payment URL”. 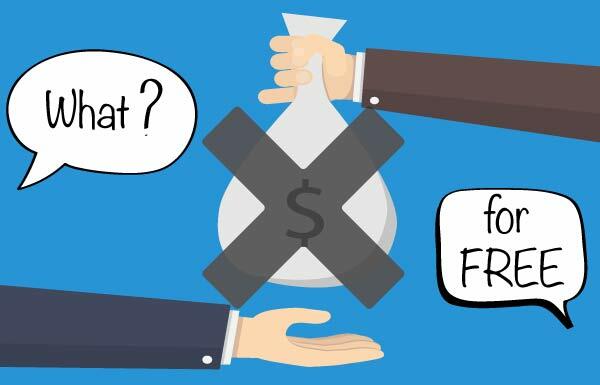 Now enter the email of your friend and they will receive the link (which can be opened either by phone, tablet, and PC) that will take them through the procedure for the payment. Among the WhatsApp tricks to make the app free, this is the most dangerous but in some cases can be really useful (desperate diseases need desperate remedies). In a nutshell, it consists of deleting your account and making a new one from another phone. The steps to follow are simple but must be done properly to avoid troubles. 1. First of all, delete your account. Go to Settings -> Accounts -> Delete Account. Enter your phone number and click Delete Account. 2. Next, delete the app from your phone. 3. Then, you need another mobile phone (in which WhatsApp is not installed) with a new SIM (different from the one used before). 4. Download WhatsApp on the new phone and complete the installation procedure by entering your phone number (the one of the account that you deleted at the beginning) and the verification code you received via SMS. 5. Now you have to delete both the app and the account, but this time on your new phone. 6. Finally, install WhatsApp on your phone again (not the one on loan) and make an account with your number. P.S. This method may not always work as WhatsApp engineers are always working to avoid certain tricks. The last method to get WhatsApp for free for life consists of using a simulator on your computer. The trick that we are going to explain is not legal in all countries, and we remind you that the cost of the app is just €0.89 per year. Although our WhatsApp account is associated with the phone number that we signed up with, on the server this information is also synchronized with the unique identifier (called ID) of the mobile device. Through this, the devices registered for the first time can take the first year of the service for free. So, thanks to the simulator, it’s like we are new users so we are not required to pay for WhatsApp. All you need is a computer on which you will have to install an emulator of the mobile operating system Android. We recommend using Manymo, but every emulator that works is a good alternative. Cancel the account and the app from your smartphone (as in method 3). Open the Android emulator (Manymo) on the computer’s web browser. Access the Browser and enter the URL http://www.whatsapp.com/android. Click on Download Now and install the app. Open the WhatsApp emulator and sign up with your phone number. Wait until you receive an SMS with the verification code (or, alternatively, use the call). Download and install WhatsApp again on your mobile phone using the verification code you have already received. Now, after activating WhatsApp, you will see that the service is free for a year. To make the service free for life, just repeat the procedure every time it’s about to expire for a whole year free of charge. P.S. The license costs just 99 cents/year, so we recommend that you pay without using this trick. Of course, the procedure is illegal (though in the end it is a mistake of the developers, so it is illegal only in part). Anyway, we DECLINE all responsibility. In case of problems send an email to info@whatsapplab.com seeking removal. …you can opt for an alternative service that offers the same services as WhatsApp, but without costs. We are talking about Telegram Messenger, the instant messaging service alternative to WhatsApp, which more than anything has done well in the industry. Through this free app, you can send messages, photos, videos and documents to people who are in your phone book (and have Telegram). You can also create groups of up to 200 people. 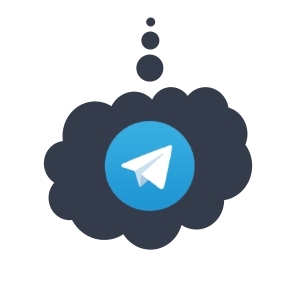 Telegram is based on a modern encryption system making messages safely synchronized to any phone, tablet or computer. Besides this, you can share an unlimited number of documents (doc, zip, mp3, etc.) with no advertising costs or subscription fees. The application is available for iPhone, Android, and Windows Phone. After downloading, just follow the simple steps to make it active on your phone. As mentioned at the beginning of this article, you should always make a copy of the WhatsApp data before trying one of the tricks explained above. “ Prevention is better than cure” as per the proverb. This is also because in the case of side effects, there is no cure. iPhone backup: go to Settings -> Chat Settings -> Chat Backup and click Backup now (this procedure requires activation of iCloud and saves both chat and photos, not videos. For videos, you can always save them on your smartphone). Android Backup: go to Settings (the three dots at the top) then Chat Settings and click Chat Backup. If you want to make a backup and then restore it on a mobile phone with a different operating system, it is safer to use WhatsApp Transfer. Meanwhile, to get a clearer idea of ​​the real costs of the app (both subscriptions and calls, of which there are many doubts), you can find all the information needed in this article about WhatsApp real cost. If you have changed your mind and think you will not use these methods to get WhatsApp for free, you can consult this guide on how to pay for WhatsApp without hitches or problems.